The Vicar of Hull Minster, the Reverend Canon Dr Neal Barnes, is leaving after nine years in the city. Canon Barnes will take up a new position of Canon for Mission and Faith Development at Liverpool Cathedral in July. A former engineer, Canon Barnes first came to East Yorkshire in 1999 to become Vicar of Anlaby. In 2010, he was appointed Vicar of Holy Trinity Church in Hull, which in 2017 was re-designated as Hull Minster during Hull’s year as UK City of Culture. Canon Barnes said: “My wife Stella and I would particularly value your prayers as we prepare to move to Liverpool. 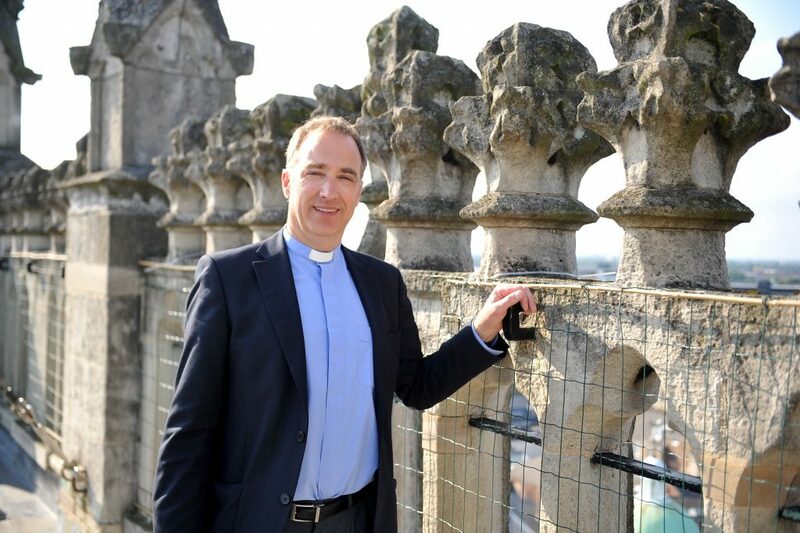 “It’s been a genuine privilege for me to serve the congregation and community of Hull Minster and I am so grateful for the wonderful support I have had from colleagues and members of the church. “I’ve seen so many wonderful changes in my time here, from Holy Trinity achieving Minster status to the physical changes that have helped us to embrace the wider community in so many new and exciting ways. “The move to Liverpool is an exciting one and I’ll be looking at different ways to reach new people and to support them on their journey of faith. “I spent a couple of weeks in Liverpool in 2015 and was struck by the friendship and welcome extended to me as a visitor. I’m very much looking forward to serving the vibrant and embracing community of Liverpool Cathedral. Canon Barnes has led the Hull Minster community during a period of remarkable growth and transformation. Congregation numbers have more than doubled over the past five years, while the church’s development project has rejuvenated the building, to make it a welcoming and flexible place of worship and a major venue for social, cultural and community events. The Rev Irene Wilson, Associate Vicar, said: “During Neal’s time at the Minster he has made an immeasurable contribution to the work, life and success of the church. Community Minister Dan Broom added: “Neal has overseen the growth of a staff and volunteer team who share his commitment to see the Minster making a significant contribution to the community of Hull, now and into the future. John Robinson, Chair of the Hull Minster Development Trust, which has led the church’s development project, said: “Hull Minster would not be where it is now were it not for Neal. “He has been integral to the transformation that has taken place over recent years, physically and in terms of the growth in the church’s congregation and work in the community. Kathryn Shillito, City Centre Manager for HullBID, paid tribute to Canon Barnes and his team for opening the church up to the community and engaging with city centre businesses. She added: “We were one of the first organisations to host a major commercial event in what was then Holy Trinity Church. Hull Fashion Week in 2011 showcased the best in retail fashion and, just as importantly, demonstrated the flexible use of the building. “Since then I have been delighted to see the Minster engage further into the community and host a number of major city events including our own food events, the renowned Freedom Festival and the CAMRA real ale festival, to name but a few. The Very Reverend Dr Sue Jones, Dean of Liverpool, said: “Neal’s appointment is a significant one for our cathedral as we look to the future. “We have great opportunities to reach people with over 750,000 visitors a year. We believe each of these can encounter God as they spend time with us and we want to look at how we can support people on a faith journey. Canon Barnes will lead his final service at Hull Minster on Sunday, June 16. He will be Licensed and Installed at Liverpool Cathedral on Saturday, July 13, by the Dean of Liverpool, and formally welcomed into the Diocese the following day by the Bishop of Liverpool, the Right Reverend Paul Bayes. Be the first to comment on "Vicar of Hull Minster appointed to new role at Liverpool Cathedral"